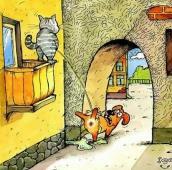 This is the remaster compilation of the LP "Nem tudom a neved", published in 1974. Track 6, ''A bûvész'', recorded in mono. It is remastered version of the album "Omega 6. Nem tudom a neved" with bonus tracks in English. The sound quality is higher than on original "Nem tudom a neved" CD (I never heard the LP). But one thing I can't understand: why this remaster, unlike original CD, contains mono version of the song ''A büvész''? Songs' running order differs from original version, but, because it is not a concept album, this fact doesn't seem so important for me. 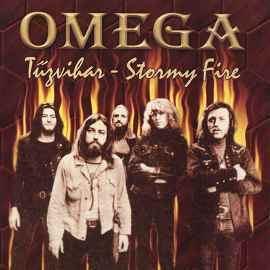 Therefore when reviewing "Tûzvihar - Stormy Fire" we discuss the "Omega 6" album. It is an important album in band's career, a transition from more straight rock oriented sound to their most progressive period (Omega 7 - Omega 9). 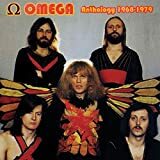 Like most Omega albums it shows band's ability to create nice memorable melodies. IMO the album highlights are songs like "Nem tudom a neved" (the band usually plays it in concerts till now), aggressive "Tûzvihar" (Stormy Fire), wonderful ballad "Huszadik századi városlakó" ("20-th Century Towndweller") and "Mozgó világ" ("Moving World"). Bonus tracks can be interesting for collectors, but they don't add much to the album. Anyway, if you like something from Omega and want more, this album is worth to listen. But better try to find original "Nem tudom a neved" CD with all songs in stereo and initial songs' order. Post a review of OMEGA "Tûzvihar - Stormy Fire"